What the Gaia mission operations team at ESOC have waited to see! 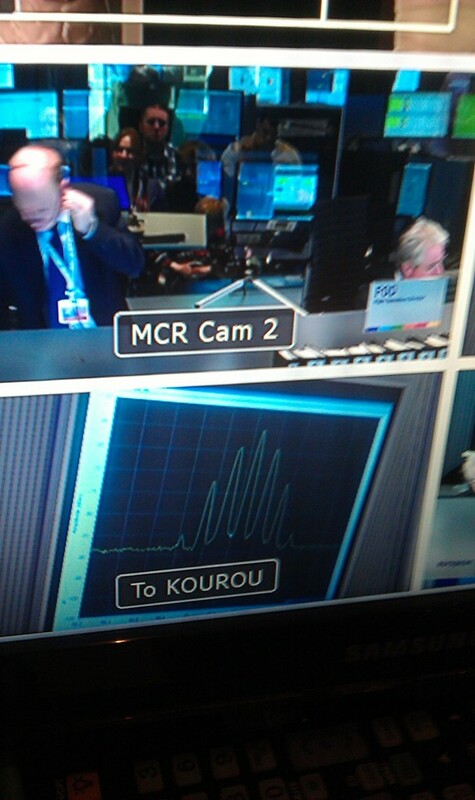 The bottom image shows the tracking station signal being received from ESA’s 15m Perth station, Australia; loud and clear. ESA is now in contact with the Gaia spacecraft in flight. And the two hard-working, blurry gentlemen? That’s Gaia Flight Director Andreas Rudolph, at left, and ESA’s Head of Mission Operations, Paolo Ferri, at right.